Today was Day #3 of Chocolate and Caramel Theme Week. 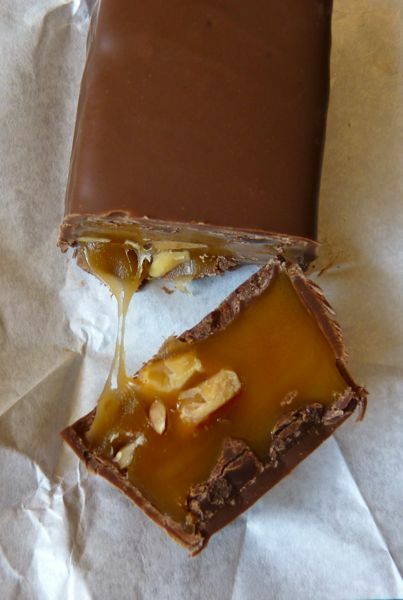 Ooey, gooey caramel -- the kind that stretches out in the middle when you cut a caramel-filled milk chocolate bar in half. There is a very delicious aspect to this kind of texture and taste. 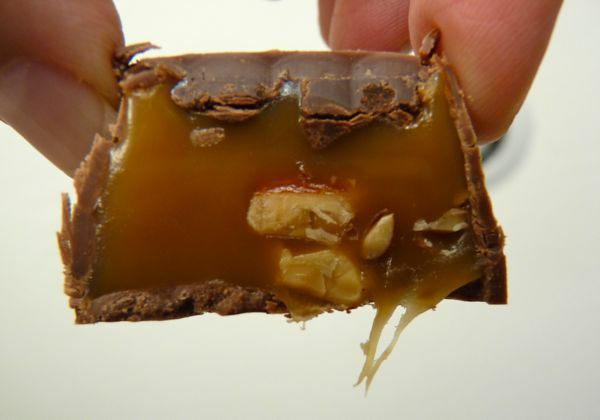 In the end, it was a bit too sweet for my taste; however the almonds suspended in the caramel added some crunchy texture and helped cut the sugary sweetness a little. 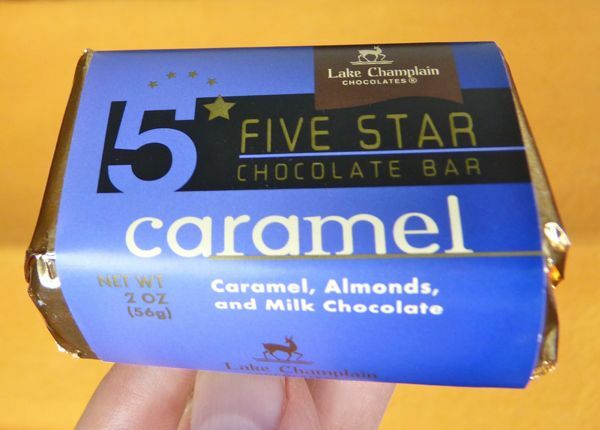 And I liked the small bar shape and size of this Caramel Five Star Bar from Lake Champlain Chocolates (Vermont). Although the shape was deceptive, as this was a 2 oz. (56 g.) bar. Some chocolates are better if they're quite thin. Others need room for hearty fillings and additions, like this one.